Which leaves no channels for additional functions such as flaps, airbrakes, landing gear, lights, parachute and so on. The beta version of Ultimate LRS provides the ability to use 16 channels rather than 8. Many RC transmitters such as FrSky Taranis or 9xr can send 16 or more RC channels. ULRS provides a serial PPM for an APM or Pixhawk or any FC accepting serial PPM. 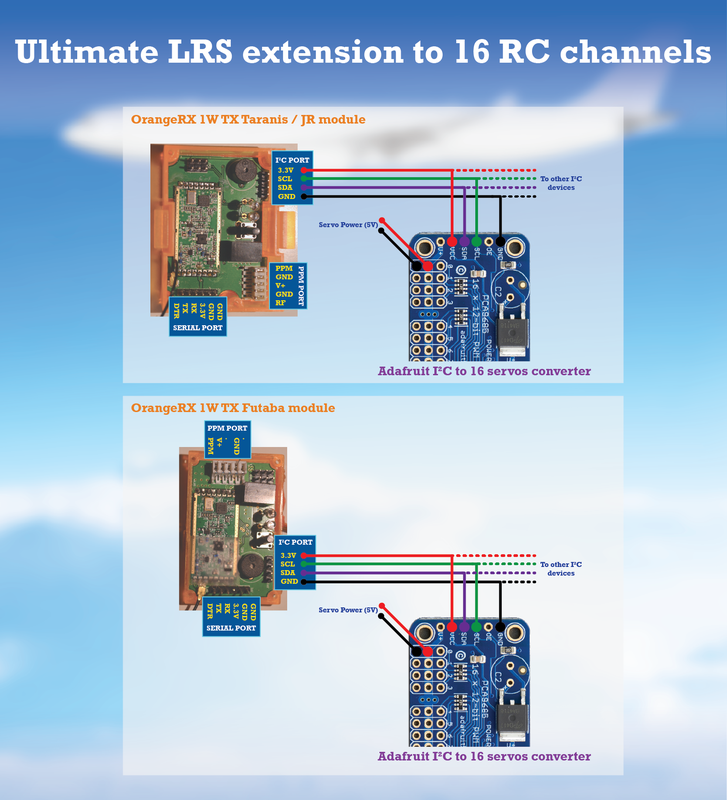 This option is however limited by the ability of the flight controller to manage the additional channels, for example APM is limited to 11 channels. Using a PPM to servo converter such as this one. Cheaper clones are available (link1 link2), but we recommend to use original Adafruit boards to support them. So i connect the reciever to the adafruit i2c port. But how can i connect it to the apm? Or how can the apm ise all the 16 channel? The Adafruit module is to be connected directly to the ULRS, there’s no way to connect it to the APM. The APM itself is limited at 11 channels if I’m right, and the Pixhawk to 14 channels. I want to use 16 ch with apm/auto flight. All i need is just connct the rx to the apm and to adafruit with i²c? So i can use all 16 ch, but if i lose signal, apm will use the 4-5 ch to get my plane back home if i setup it correctly? Exactly. 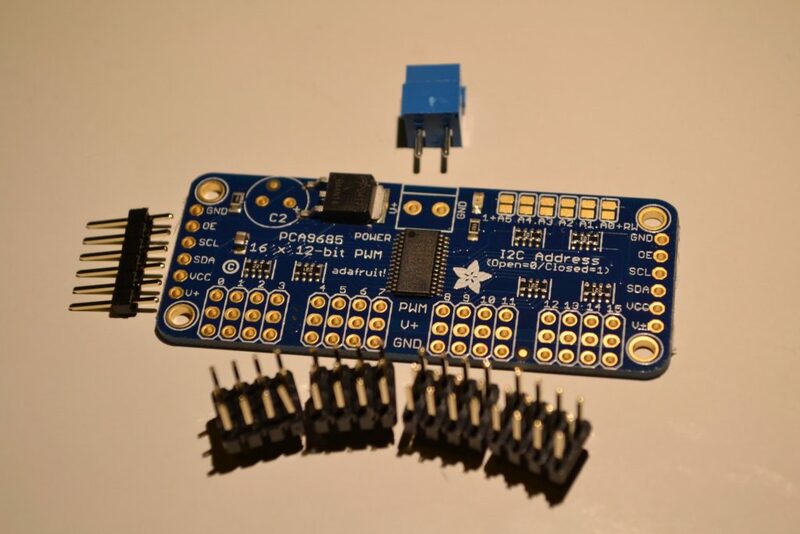 APM doesn’t have 16 outputs so you can use the Adafruit option, and in case of failsafe the APM will control your plane with its 8 output, while the Adafruit will output the 16 failsafe values that have been recorded. But can you simultaneously connect it with pixhawk as well as Pololu controller? I am looking for an automated flight with 24 channels. 24 channels should be possible, but it’s not developped yet. It would take inputs from the RC controller (16 channels) + Pololu. And provide outputs in serial PPM (16 channels) + Pololu. Hello, the code for extended channels is implemented? It’s would be very nice to have this possibility.